This Serrion 2 Drawer Mobile Pedestal fits under desks or can be used independently. 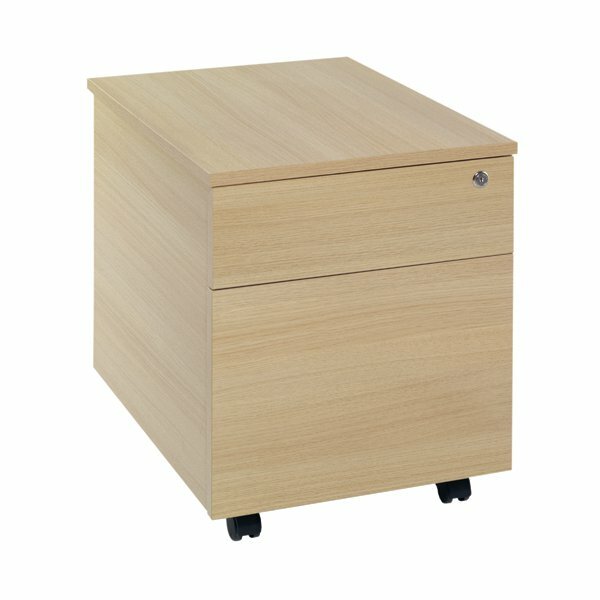 The pedestal features 1 filing drawer suitable for use with both foolscap and A4 suspension filing, and 1 shallow drawer for stationery and other accessories. This pedestal is mobile on castors and comes in stylish Ferrera Oak. The pedestal measures W434 x D580 x H525mm.